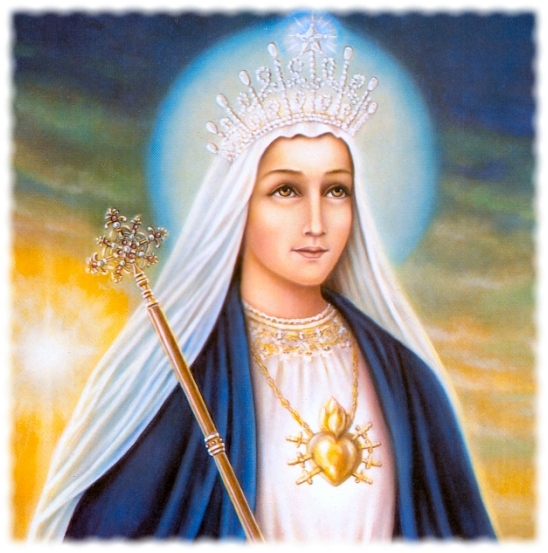 <>Yes, Mary was to suffer in Her heart. Her compassion for Her most beloved Son was the sword which was destined to pierce Her motherly heart, as St. Simeon accurately foretold: And Thy own soul a sword shall pierce [Lk. 2: 35]. St. Jerome assures us that the Blessed Virgin was well versed in the Sacred Scriptures and therefore was aware what the Redeemer would have to suffer during His life, and even more at the time of His death. She fully understood from the Prophets that He was to be betrayed by one of His own disciples: Even My friend who had My trust and partook of My bread, has raised his heel against Me [Ps. 40, 10]. And that He would be abandoned by them: Strike the shepherd, and the sheep shall be scattered [Zach. 13: 7]. She knew all about the contempt, the spitting, the blows, the scorn that He would be made to suffer at the hands of the people: I have given My body to the strikers, and My cheeks to them that plucked them: I have not turned away My face from them that rebuked Me and that spit upon Me [Isa. 50: 6]. She knew that He was to become the reproach of the vilest men and the outcast of the people, and would be overwhelmed with insults and injuries: But I am a worm, not a man: the scorn of men, despised by the people [Ps. 21, 7]; He shall be filled with reproaches [Lam. 3: 30]. She knew also that at the end of His life His most sacred flesh would be tom and mangled by scourges: But He was wounded for our iniquities, He was bruised for our sins [Isa. 53 : 5]. She knew that His whole body would be disfigured and become like that of a leper——all wounds, with the bones exposed where they pierced the flesh: There is no beauty in Him nor comeliness . . . and we have thought Him, as it were, a leper [Isa. 53: 5]. They have numbered all His bones [Ps. 21, 18]. She knew that He was to be pierced by nails: They have pierced My hands and My feet [Ps. 21, 17]. And would be ranked with criminals: And He was reputed with the wicked [Isa. 53: 12]. And that finally, hanging on a Cross, He would die for the salvation of mankind: And they shall look upon Me, Whom they have pierced [Zach. 12: 10]. To appreciate what this sacrifice meant to Mary it would be necessary to understand the love She had for Jesus. Generally speaking, the love of mothers is so great that when their children are about to die and there is danger of losing them, they forget all their faults and shortcomings. They even forget the injuries they may have received from them, and suffer unimaginable heartache. But many times the love of these mothers is a divided love, a love that extends to other children, or at least to other creatures. Mary had only one child——the most admirable ever born. He was most lovable, for He had everything to make Him so. He was most obedient, most virtuous, most innocent, most holy. In a word, He was God. And Mary’s love stopped right there. It did not extend to any other created being. She concentrated all Her love on Her only Son. Nor was She afraid of going too far in loving Him. This Son was God and He deserved limitless love. This was the Son Who was at the same time the victim She was voluntarily sacrificing to death. How sad a scene must love have placed before the eyes of the Blessed Virgin from that day on, a scene in which all the outrages and mockeries which Her poor Son was to endure were delineated. See how love already represents Him agonized with sorrow in the garden, torn with scourges, crowned with thorns in the praetorium, and finally hanging on a Cross of shame on Calvary! “See, O Mother,” says love, “what an amiable and innocent Son You are offering to such terrible tortures and to such a horrible death!” And what is the use of trying to save Him from the hands of Herod when You are only destining Him for a far more sorrowful fate? Mary not only offered Jesus to death in the Temple, but She renewed that offering every moment of Her life. She revealed to St. Bridget: “That sorrow [foretold by the holy Simeon] never left My heart until I was assumed, body and soul, into Heaven.” Therefore St. Anselm addresses Her in these words: “O compassionate Mother, I cannot believe that You could have endured such excruciating torments even for a moment without dying, unless God Himself, the Spirit of Life, had sustained You.” But St. Bernard, in speaking of the great sorrow which Mary experienced on this day, says that from this time on “She endured a living death, bearing a sorrow more cruel than death.” Every moment that She lived She died, for She was assailed at every moment by sorrow for the coming death of Her Jesus, a torment more cruel than any death. Arnold of Chartres says: “The will of Mary and the will of Christ were then united so intimately that both offered up the same sacrifice. Because of that union of wills, Mary brought about with Christ that one effect, namely, the salvation of the world.” Jesus accomplished it by making satisfaction for our sins; Mary by obtaining the application of this satisfaction to us . 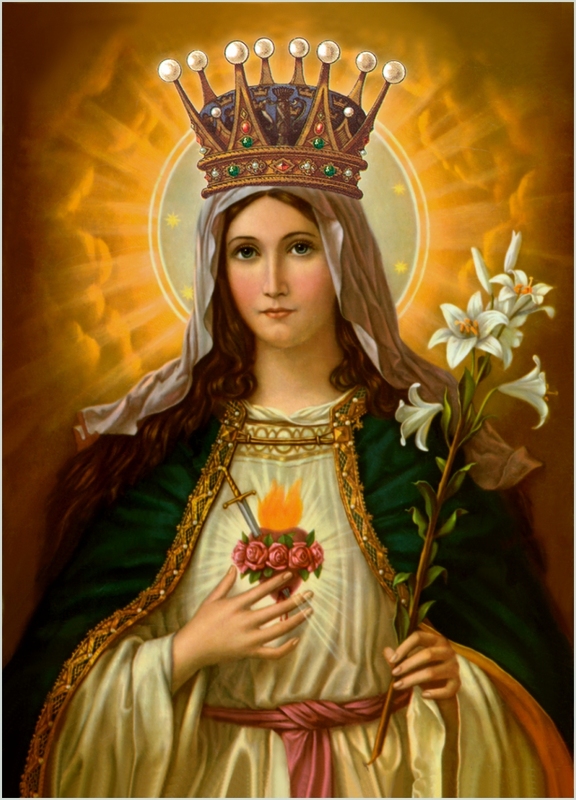 . .
Mary then, by the merit of Her sorrows and by sacrificing Her Son, became the Mother of all the redeemed, and it is only right to believe that it is through Her hands that the milk of Divine grace, the fruit of Christ’s merits and the means for obtaining eternal life are given to men. St. Bernard refers to this when he says: “When God was about to redeem the human race, He deposited the whole price in Mary’s hands.” By this he meant that the merits of the Redeemer are applied to our souls through the intercession of the Blessed Virgin, for the graces which are the fruit of the merits of Jesus Christ are dispensed by Her hands. If God was so pleased by the sacrifice of his son Isaac which Abraham was to make to the Divine Majesty that He promised to multiply Abraham’s descendants as the stars of the heavens——Because thou hast done this thing, and hast not spared thy only-begotten son for My sake, I will bless thee, and I will multiply thy seed as the stars of Heaven [Gen. 22: 16-17]—— we must surely believe that the far nobler sacrifice of Her Son Jesus which Mary made was immeasurably more acceptable to God. And as a result, He has granted that by Her prayers the number of the elect should be increased. That is, the number of souls coming to Heaven through Her shall be great. (2) This title of “priest’ was also given to Mary in a prayer composed at the direction of Pope St. Pius X and approved by him on May 9, 1906. This entry was posted in Immaculate Heart and tagged Catholic on August 9, 2015 by damselofthefaith.